Click on their ad or company name to go to their website. Welcome to this year's WorldSweeper.com coverage of the 2010 National Pavement Exposition, held in Nashville, Tennessee, "Home of the Big Guitar," among many other attractions. 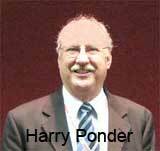 Our WorldSweeper.com offers a host of seminar presentations of interest to the power sweeping community. Take a look at the outline of each of these, below, along with when our exclusive web and audio interview with each will be linked. 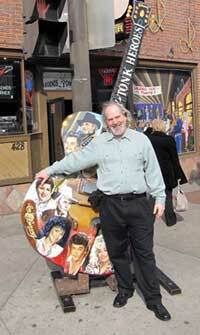 Note that all interviewees have targeted their WorldSweeper.com presentation directly to the power sweeping industry. Our intent is to bring you the most usable information from NPE 2010. If there was an event or seminar you'd like to have us cover even after the show, please let me know. P.S. Be sure to check out the ads by our NPE 2010 Coverage Sponsors, shown in the left column, and then thank them the best way possible... by buying from them! 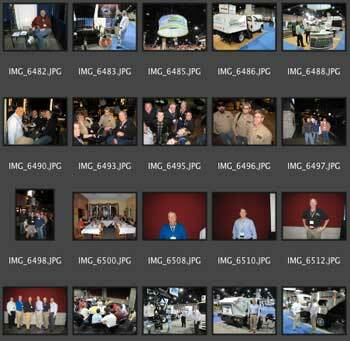 If you were at the show, you'll probably want to take a look at the photos WorldSweeper.com's editor took while there. Chances are, you're in one or more of them! If you'd like us to send you the original file, just let us know. Be sure to include the file name(s) of any you want. Story and audio interview are online now! Giselle Chapman offers a wide variety of necessary tools – tools you already have on your computer – that will help you get time back in your work day. These are 'must implement' items for everyone's entire management team. In this era when we are inundated with emails, Chapman offers effective techniques to reduce email volume and for how to deal with all types of email in the most effective manner possible. Further, she shows how to create a robust subject line for your own emails, one that will alow future searching to find them. She also provides ideas you can use for how to improve the quality and effectiveness of your email usage. 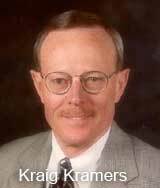 Kramers, who has been the CEO of 8 different companies, offered a wealth of information applicable to anyone who runs a business. During his presentation, the dynamic Kramers offered a number of proven techniques for improving business forecasting, sales and management. These were taken from what he calls his "CEO Tools." In this article and audio interview, Kramers teaches what he calls "Trailing 12 Month (T12M) Charts." These utilize data from one or more previous years to determine the change in data from one time period to the next. For example, an Excel spreadsheet chart that shows profits as a percentage of costs for a 12-month period is not nearly as useful as seeing the change in profits as a percentage of costs for each of the 12 months as compared to each of the same months last year . An Employee Handbook; if you don't have one, you should. After reading this article and reviewing the attached attorney-developed guidelines for how to make an Employee Handbook, you will have all you need to develop one for your business. Further, you will have the "do's and don'ts guidelines" for how to implement and post your Handbook, as well. Drivers are extensions of your company. Each time they leave your property in one of your company vehicles they face the possibility of an accident. Scott Cerosky has worked 15 years providing specific insurance products and services to the pavement maintenance industry. 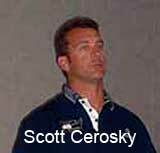 Cerosky is also a Board and Founding Member of the North American Power Sweeping Association. This article provides a wealth of insight about what you and your drivers need to know and do should an accident occur. In our second article with Kraig Kramers, he offers an example of how the introduction to a new business method doesn't have to be long to be effective and, potentially, change the way your business operates. One of Kramers' basic points on the topic of communication with your management team is that you absolutely need to take time to learn about their personal lives, interests, families, etc. Why? The people who relate to each other on a personal, not just business, level, are much more likely to work better in running a business. Includes an audio segment of under 2 minutes in length that is likely to change how you operate your business. 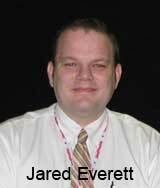 Customer service and sales go hand in hand, and this article and audio interview with Jared Everett will help you improve both. Jared combines his experience in sales for a paving and pavement maintenance contractor with his experience in purchasing pavement maintenance services for large public institutions. The result is an effective sales approach that considers both sides of the sales proposition. First you'll learn the "best practices" for customer service specifically for the pavement maintenance industry, then you'll learn basic tips that will enhance the personal skills of your sales force so they can deliver better results. You'll end up with insights that will help you improve your customer service, give your sales efforts more impact and help buyers make a commitment to your company. In our second article with her, dynamic speaker Giselle Chapman provides exactly the information you need to make powerful presentations. Getting the job in today's economic climate involves more than just sending in a bid, and this article and interview will help you improve your presentation skills with an eye toward enhancing your image and landing the contract. Our approximately 20-minute interview with Chapman is based on her National Pavement Exposition presentation on this topic. 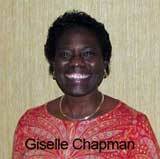 Giselle Chapman offers great tips and techniques that will bring your presentation skills to the next level, whether you are a 'newbie' presenter or an old hand at speaking to large audiences. The talk of the sweeping sessions at NPE since 2006 has been this unique 3-hour workshop, based on the "roundtable" concept. This year, veteran sweeping contractor/moderator, Gerry Kesselring, had the approximately 75 attendees divide into small "roundtable" groups that discussed, analyzed and exchanged ideas and information. Each roundtable group was moderated by a veteran industry professional. Article coverage includes a synopsis of what was learned in each of the topic areas. If you own, operate or manage a sweeping company, you do not want to miss out on this information! New electric sweeping technology uses a chassis alternator and 3-phase electric motor to power parking area sweepers. Inventors have 20+ years as sweeping contractors and claim a payback of less than one year in most cases. FS Depot is the Elgin affiliate that sells sweeper wear parts for a variety of sweeper makes and models. In this video, we learn about the drag shoes and back-up cameras the organization offers. For more information call 847-741-5370 or visit the FS Depot area of Elgin's website, www.elginsweeper.com/Parts_1883.asp. The Schwarze S3480I is one of America's most recognized models for parking area sweeping. In this brief video John Nelson, a member of Schwarze's S-Series sales team, shows off the many features of the machine. Contact the company by calling 800.879.7933. The Schwarze Industries, Inc. website is www.schwarze.com. Mohawk has designed a revolutionary drag shoe design that eliminates bending of drag shoes. Essentially, the system is as easy as adding in a bracket that allows the use of Tuff-Sweep broom inserts in place of standard drag shoes. 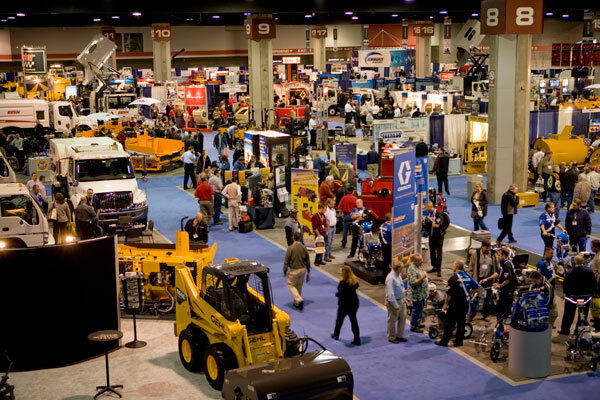 This video was actually done at APWA, but inadvertedly left out of our coverage of that show. So, this seemed the perfect time to make sure WorldSweeper.com readers knew about this innovative 'drag brush' system that virtually eliminates dealing with bent drag shoes. For more information, call 631-491-1411 or see our information page or send us an email. Jack Childs, company founder and president, learned that most in the sealcoating simply don't know how to market themselves. So, capitalizing on the widespread success of his black dog company name and logo–as well as his expertise with internet marketing–Childs set out to assist established contractors in other fields to get into sealcoating. This has resulted in spin-off franchises that now also include line striping and pressure washing. For more information call at 800-998-3294 or visit the company's website, www.blackdawgfranchise.com/. Nite-Hawk's John Day provides a detailed look at the company's latest single-engine sweeping system. See why Nite-Hawk's models are one of the leading choices for parking lot sweeping. For more information call Nite-Hawk, Inc. at 800-448-9364 or visit the company's website, www.nitehawksweepers.com. If your current sweeper doesn't have a tilt action on its curb broom, you are probably wasting both money and time. 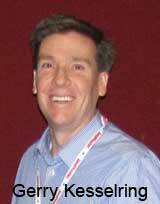 Brian Giles, a senior engineer with Elgin, talks about the value a tilting curb broom offers. For more information call 847-741-5370 or visit the Elgin website, www.elginsweeper.com. When you need to make sure metal objects on pavement get removed -- for example on airport runways or to keep them from puncturing your sweeper tires -- a 'magnetic sweeper' is just the ticket. Walker Magnetic Sweepers are designed to do the job right, the first time and every time. There is a model for most any aplication. The Tow-Vac is a tow-behind sweeper that now is offered in a high-dumping configuration. The machine is operated by a 5 horsepower Honda engine that spins a series of rubber 'paddles' near the ground. This creates a sweeping action to pick up debris. For more information call U.S. distributor, Twin States Equipment, Inc. at 800-222-3686 or visit the company's website, www.2sei.com/index.html. Video will debut Thursday, March 4th. Fast Measure has developed a system that quickly and easily measures pavement. Ideal for estimating pavement-based jobs. May be integrated with in-cab controls. To reach the company call 888.876.6050 or visit the company's website, www.fast-measure.com. 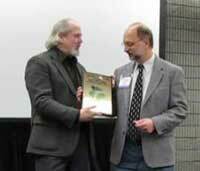 Thanks for visiting WorldSweeper.com's Coverage of the 2010 National Pavement Exposition!